Could Terrorists Attack International Freight Shipping? The Gulf of Aden Group Transits (GoAGT) made some alarming news recently with their report suggesting that the maritime industry could be open to a terrorist attack. This type of news certainly got the attention of shippers around the World. The GoAGT said that the reasons for possible terrorist attacks are due to the growth of sea traffic and the rise of large cargo vessels. In addition, the GoAGT pointed out recent global events as reasons: “the largely unforeseen consequence of the Arab Spring is that it has given terrorists groups a new lease of life and the means to do real harm to maritime activity in the Mediterranean, the Suez Canal and at other key strategic choke points,” said Gerry Northwood OBE, COO of GoAGT. 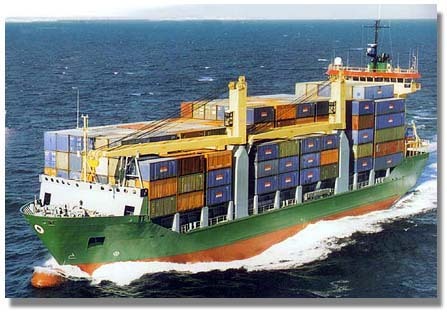 The international freight shipping industry encountered dangerous obstacles at sea in recent years, such as the threat of piracy. Just like piracy, some people in the logistics industry worry that terrorist attacks could be just as probable. And if terrorist attacks were to occur, it might impact ocean freight shipping rates. For shippers concerned about the threat of terror, it is reassuring to know that the United States has taken precautions at the ports to provide ample security. US policies mandate the monitoring of freight at the ports for safety measures. And many other nations also follow a similar policy for the same reasons. Consult with your trusted freight forwarder to see what type of safety precautions are available at the ports and on the vessels to protect your freight against terrorist attacks.